This easy-to-use site help you find where movies you want to watch are streaming. If you’re tired of switching between services looking to find that favorite movie you want to watch, we found a site that will help you find exactly what you are looking for, in just seconds. Any streaming entertainment enthusiast needs to know about this site. For those who consume a heavy diet of movies through their computers, mobile device or web-enabled TV, it’s not always easy to find exactly what you are looking for on streaming video sites. Add to that the rapidly expanding number of players jumping on either the pay-per-view or flat-rate subscription models, and choosing the perfect service for you is increasingly becoming something you’ll want to research. Some just cater better to certain tastes than others. One site, Can I Stream.It? is doing its part to help simplify things. All you do is type in the movie you’re looking for, and the site quickly searches pretty much every provider of video streaming you can think of, and it tells you where it is playing online. As expected, Netflix is ideal for finding older movies, while iTunes and Amazon’s services have the freshest and hottest flicks. Have you used iTunes or Amazon Instant Video to rent movies a la carte? Please write a review telling us what you think. Beyond pointing you toward the right service for a single viewing, Can I Stream.It? also helps you decide which service(s) you will want to revisit or subscribe to. Lesser-known services like Crackle often offer public domain titles and indie gems you can’t find with most premium services. Sites like this are going to become necessary resources as more and more people cut the cable cord. The upshot is there is going to be a proliferation of new services as the various giants juggle their payment models and content type until the market determines long-term winners and losers. In the mean time you can count on us here to keep you up-to-date on new offerings, changes to existing services and industry trends. But we need you, too. If you use a streaming video service, kindly help others by sharing your experience and expertise by leaving a review. 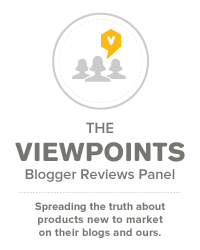 Editor’s note: If you have professional experience with streaming services, Viewpoints is recruiting experts in priority product categories to write for our blog. Check out this overview of the Viewpoints Category Expert Program, including qualifications, compensation and how to apply. Lisa Caplan writes extensively about streaming services, apps, games and how to use technology to improve lives. She’s editor-in-chief of AppTudes and also regularly contributes to the app review website Appolicious. Lisa is based in Montreal.